Information is power–and when you or a loved one is faced with a cancer diagnosis, the need for accurate and trusted medical information becomes urgent. The Definitive Guide to Cancer, now in its third edition, encourages you to take an integrative approach that embraces both alternative and conventional therapies across the spectrum of cancer prevention, treatment, and healing. Naturopathic physician Lise N. Alschuler and medical journalist Karolyn A. Gazella present an overview of what cancer is, its causes and preventative strategies, an in-depth approach to integrative treatment options, descriptions of key body functions, and discussions of more than twenty specific cancers. 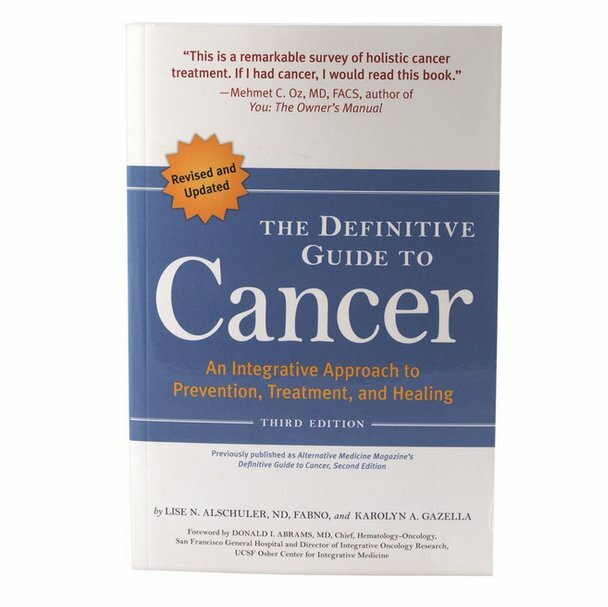 This comprehensive guide delivers informed hope along with effective tools for reclaiming your vitality in the midst of cancer treatment, healing, and recovery.